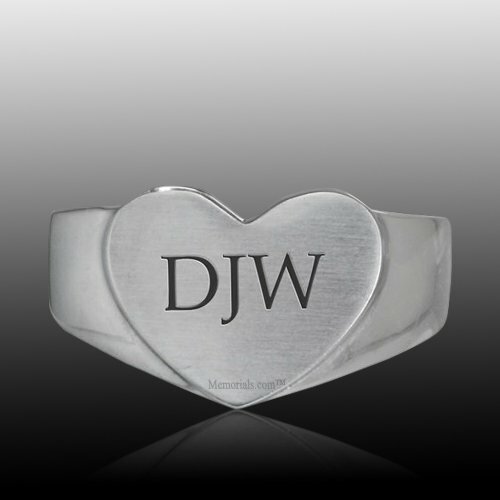 The Heart Cremation Ring is made of premium stainless steel and offers a discreet way to honor the memory of a loved one wherever you go. This cremation ring can hold a small amount of the cremation ashes or a piece of hair to create a truly personal tribute. This elegant ring will keep your memories close at all times. Includes a funnel and instructions to fill and seal the Keepsake. "Our father was more than happy! He had chosen this through the funeral home until he saw their price. I was so happy to have found "Loving Swans Companion Cremation Urn" on your web site at a much more affordable price. My father may not have been able to purchase what he truly wanted for our mother without you. Thank You!"